These are just a few of the symptoms. This stress causes body and muscle tension and many imbalances in the way your body works. In turn, the vital energy that flows around your body becomes constricted and blocked causing pain and discomfort. We all know the therapeutic value of massage for releasing tension but an integrative therapeutic approach combines tension release with energy unblocking, all in one session integral process of bodywork involving assessment, diagnosis and treatment. An integrative therapy session melts away all your accumulated stress and tension and gives you an energy boost all at the same time. There are not many therapies that can do this and be so enjoyable too. Stress has become more prevalent and is experienced by almost everyone living in the modern world. The magnitude to which stress-related symptoms affect our physical and mental health has been substantial and severe in worse cases. High levels of stress can be contributed to anxiety, depression, insomnia, headaches, sore muscles, and many other symptoms that can threaten a more severe condition that can endanger our overall well-being. People have tried a variety of methods to cope with stress. One of the most widely practices in combating stress is integrated therapy and is proven to be effective in most cases. This claim has also been backed up by research studies that suggest sufficient evidence to confirm the effect of integrative therapy in relieving stresses of the mind and body. What is Integrative (Intuitive) Therapy? 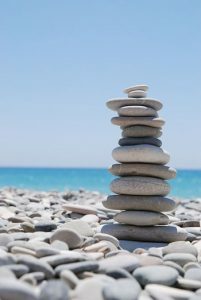 Intuitive Therapy is a form of integrative psychotherapy that utilises intuition to uncover what the client senses but may not be consciously aware of. Mike uses his intuition in order to access this unconscious information and bring it to conscious awareness. He works from an energetic; mind, body, spirit (holistic mental health) approach that assists the client to uncover, articulate, and release the source of the presenting problem. It is popular, natural and wholesome therapy based on touch. 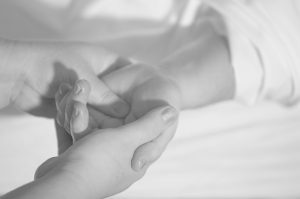 When tensions in the body and mind are released, the client’s vitality and body fluids will flow freely, relieving pain and illness and encouraging physical and emotional wellbeing. It’s is not a form of sensual massage, no oils are used and no internal medications are given. to make a program of therapy that suits your personal needs and issues. Integrative therapy is increasingly the most common type of therapy. Given the wide array of therapies on offer nowadays, Mike has undertaken several forms of training (NLP, Life Coaching, Hypnosis, Bodywork, Stress Management, Reiki, Spirituality and Reflexology) and found a way to blend them together that produces extraordinary results for his clients. Allowing the body’s built-in recuperative powers to function efficiently and the body to revitalise the balance itself. In the past practitioners discovered that the vitality travels throughout the body, head, extremities and organs along meridians via chakras, the body’s energy centres. 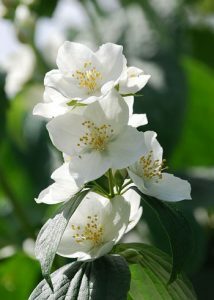 The vitality is called ‘Yuki’ and is a positive, living dynamic energy. Conditions such as headache, back pain, frozen shoulder, sinus problems, chest complaints or stiff joints are thought of as symptoms occurring when there is unwanted stress and tension in the tissues due to blockages of negative energy. This non-invasive form of massage helps balance out and relaxes the energies of the body. Integrative therapy can help almost any condition and is particularly effective with what may appear to be persistent symptoms. Conditions including headches, migraine, musculoskeletal disorders, sciatica, depression, digestive problems, lack of energy, stress, muscle and sports injuries, back, shoulder and neck pains and anxiety have all been successfully relieved. It does this by stimulating the parasympathetic division of the Autonomic Nervous System, leading to a state of calmness and tranquillity. For healthy people, regular intergrative therapy helps to rectify physical irregularities and prevent the accumulation of fatigue – causing toxins. Although considered as a full body treatment, it also focuses on certain areas of discomfort that require immediate relief and treatment. But regular treatment of the whole body will guarantee overall well-being and helps in the prevention of stress-related syndromes. It is for this reason that many people have included integrative therapy into their regular healthcare maintenance routine. Complete the form below and we’ll contact you to book in your free integrative therapy consultation.